A provision that allows homeowners to treat mortgage insurance premiums the same as interest is in place through at least 2010. The deduction applies to mortgage insurance premiums paid on acquisition not on refinancing debt. The deduction is phased out for taxpayers with adjustable gross incomes over $100,000. Legislation is expected to pass that will allow low-and moderate-income homebuyers and homeowners to continue to deduct mortgage insurance premiums from their federal income tax returns. The new legislation, which President Bush is expected to sign, extends this deduction to loans closed in 2007 through 2010. To help make up for this lost tax revenue, the House also approved restrictions on capital gains tax benefits available to people who buy second homes and later convert them to principal residences. Under current rules, a homeowner can exclude up to $500,000 (married) and $250,000 (single) on a property used as a principal residence for 2 out of 5 years. Starting in 2008 when computing this capital gain exclusion, only the period when the property was used as a principal residence will count. The 109th Congress passed a tax reform bill, H.R. 6111. It introduces a new, one-year, itemized tax deduction for mortgage insurance premiums. This new legislation will allow taxpayers who itemize their deductions to take an additional deduction for mortgage insurance premiums paid after December 31, 2006. Section 163(h)(3) of the Internal Revenue Code allows taxpayers to take a deduction for interest paid on acquisition or home equity indebtedness on the taxpayer’s qualified residence. H.R. 6111 amends Section 163(h)(3) to include language that allows taxpayers to treat mortgage insurance premiums as interest during the 2007 tax year. This treatment only applies to mortgage insurance contracts issued between January 1, 2007 and December 31, 2007, and is only available to taxpayers with an adjusted gross income of less than $110,000. H.R. 6111 passed the House 367-45 and the Senate 79-9, and now awaits the President’s signature. PMI or Private Mortgage Insurance is normally required when you buy a house with less than 20% down. Mortgage insurance is a type of guarantee that helps protect lenders against the costs of foreclosure. This insurance protection is provided by private mortgage-insurance companies. It enables lenders to accept lower down payments than they would normally accept. In effect, mortgage insurance provides what the equity of a higher down payment would provide to cover a lender's losses in the unfortunate event of foreclosure. Therefore, without mortgage insurance, you might not be able to buy a home without a 20% down payment. The decision on when to cancel the private insurance coverage does not depend solely on the degree of your equity in the home. The final say on terminating a private mortgage-insurance policy is reserved jointly for the lender and any investor who may have purchased an interest in the mortgage. However, in most cases, the lender will allow cancellation of mortgage insurance when the loan is paid down to 78% of the original property value. Some lenders may require that you pay PMI for one or two years before you may apply to remove it. 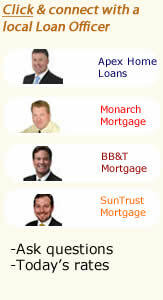 - What is private mortgage insurance, pmi?